Applications for departmental scholarships are handled through the Financial Aid office. Transfer students or new freshmen who have completed the admissions process by February 1 will be automatically considered for general scholarships. However, the School of Business reserves departmental scholarships for advanced standing students. 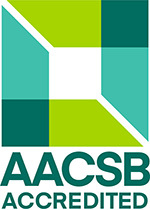 If you have completed your Business Core at another AACSB accredited university, you may be eligible for consideration of departmental scholarships.